HTC has begun the process of bestowing the latest version of Android on its more recent phones, starting with the HTC Desire HD 2.3 update. 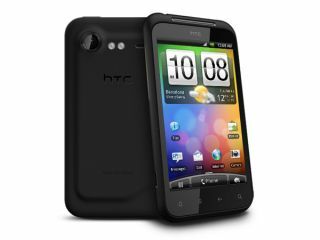 The HTC Incredible S is also getting its own version of Gingerbread (boosting the handset to Android 2.3.3) via an over the air update, according to the HTC update site. The new-and-improved software will add a smattering of improved functionality to the handsets, including improved copy and paste and (hopefully) a much improved battery life, especially in the case of the Desire HD. The Incredible S has seemed like the odd one out at the HTC shindig for a while, as the only phone from 2011 not launching with Android 2.3, rather going for the more market-ready Froyo. However, before you pull out the party poppers (and don't do that anyway, you weirdo) this will probably only be for unbranded and unlocked phones, as the networks will still need to do final checks to make sure the software works with your shiny phone. We've had a nose around the networks to see if they can give us any time frame for the Android 2.3 update for the Desire HD and Incredible S, and we'll get back to you as soon as we know more.